On Wednesday 25th October two of our volunteers were threatened by yobs in the park CLICK HERE to read an article in the Doncaster Free Press that sums up the sequence of events that night. Following the report by a well wisher that the youths were back in the park setting fire to th new play equipment, two members of FoSP went down. 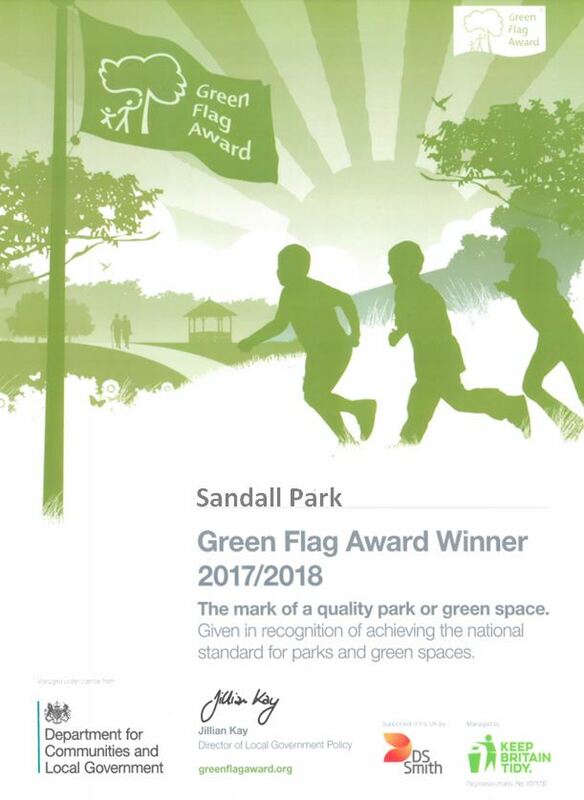 They spoke to a couple of lads; saw several motorbikes blatting round the golf course and then a gang of around 15 – 20 juveniles entered the park. Their behaviour was totally threatening and they surrounded the two volunteers, who they towered above. Some were on push bikes. They pulled their hoodies and balaclavas over their faces. One youth (none must have been older than 16yrs) said they were going to come back and fire bomb the play equipment. The police were called via 999 (incident 930) and the NRT were called. Once the NRT arrived the gang dispersed. These are someone’s sons and daughters (yes there were 3 girls). 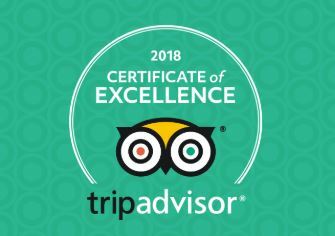 This was not a nice experience – but at least they know we’re not going to stand for it. 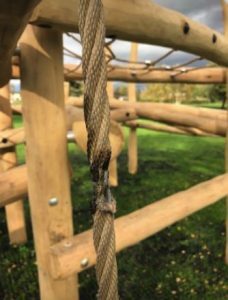 New play equipment damaged – Already! 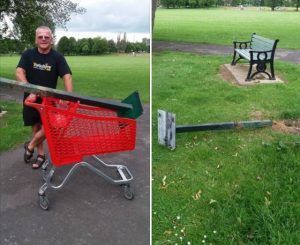 The new adventure play equipment in the park has been damaged after just a week. This is annoying more than anything else but the damage has to be repaired and does not bode well for future developments. Whoever has done this does not live far from the park and we ask for vigilance in this area especially as the nights draw in. Day One of the school holidays – and one of the gabions on the lake edging has been broken open to remove the boulders (again). Please, please, please – let us know if you see anyone destroying our work. We need youngsters to respect the park and not make more work for the volunteers. We have enough to do as it is. We have recovered a shopping trolley from the bog pond…… and in the best use of available resources it was used to relocate a damaged information board that had been damaged in the park. Not ideal but someone’s got to sort it. Small stuff really but all in the ‘line of duty’ for our volunteers.